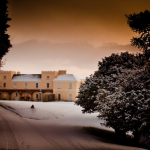 If you’re heading to Plymouth to shop at the Christmas markets or if you’re looking for a winter break away, stay at romantic Pentillie Castle this winter. The award-winning Pentillie Castle is a family run venue in East Cornwall offering five star luxury Bed and Breakfast accommodation. The Cornish Castle is set in the centre of a 2,000 acre estate set on the Cornish bank of the River Tamar, in the Tamar Valley, an Area of Outstanding Natural Beauty. It is only 20 minutes from Plymouth city centre and easily accessible by road. Pentillie is based on the border of both Devon and Cornwall, which makes it perfectly placed for guest keen to explore both counties. The striking property, which has featured in a number of acclaimed films and TV series, has 10 luxurious bedrooms and is also available for exclusive hire. Pentillie Castle boasts an impressive programme of walking breaks, writing workshops and health and wellbeing yoga retreats for those looking for the perfect way to reenergise and feel invigorated. This December guests can enjoy a fine art talk with artist Clare Law on 4 December and a Christmas floral workshop with award-winning florists Amanda Randall and Phillip Corp on 7 December. As the festive season approaches, Royal William Yard is shaping up to be the perfect place to find handcrafted gifts and unforgettable experiences this Christmas. In addition to hosting multiple Christmas markets, the Yard is home to over 100 diverse businesses selling an array of unique products and services, including artists, handmade jewellers, a high-end fashion retailer, an artisan bakery, delicatessens, a hair salon, and dozens of local traders. If you’ve a love of the vine, then you’ll be in great company sophisticated indie wine lounge and merchant, Le Vignoble. Here you’ll be able find and try lots of wines that aren’t widely available in all the usual places and, if you’ve fallen for a particular bottle, it’s available to buy and take home. Le Vignoble is hosting their annual Christmas wine tasting on 6 December. They will be joined by several vineyards reps that will each showcase their wines. You can work your way around the room trying up to 100 different wines. 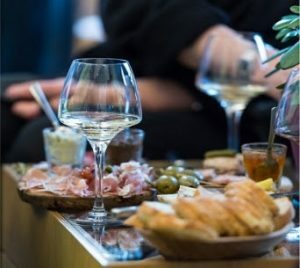 There will also be French tapas platters and dishes from ‘La Cuisine de Papa Loué’ to buy should you wish to complement your wine selection with a delicious bite. Discounts available on take home purchases & Christmas orders PLUS spend £150 and they’ll refund your ticket price – £15 per person. Le Vignoble also offers monthly wine tasting and education sessions. 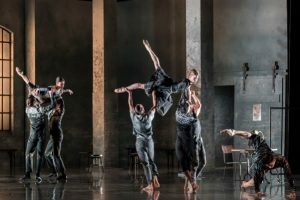 Plymouth’s Theatre Royal has an impressive winter programme of shows, musicals, plays and pantos, including ‘Rambert: ‘Life is a Dream’ a spectacular new dance show from the Olivier Award-winning choreographer Kim Brandstrup. Alongside dramatic, lyrical dancing from Rambert’s brilliant ensemble, imagery from legendary filmmakers the Quay Brothers creates a dream-like experience, and a live orchestra playing the rich music of Witold Lutosławski adds to the otherworldly atmosphere. They combine in a contemporary re-imagining of a classic play by Calderón — a study of desires as recognisable in today’s world as at any time in the past 400 years: the longing for authentic experience, and the need to dream. Feeling inspired by the LEGO brick trail? Make your own mini LEGO brick penguin or Santa at Plymouth Market on every Saturday in December during the run up to Christmas. You can also create a full set of LEGO brick mini figures by building a reindeer at Devonport Guildhall on 8 December or a robin at Ocean Studios on 15 December.